By Luis Bueno – RIVERSIDE, CA (Jan 23, 2019) US Soccer Players - Moving forward with a squad still in the process of building is Los Angeles Football Club’s focus now. Letting a key player walk amongst all of that may be both a curse and a blessing. Reports linked Carlos Vela with a potential loan move to Barcelona, one that would keep him away from LAFC until July. While rumors quickly flared up and almost as quickly dissipated, Vela-to-Barcelona highlighted the opening of LAFC’s training camp this week. 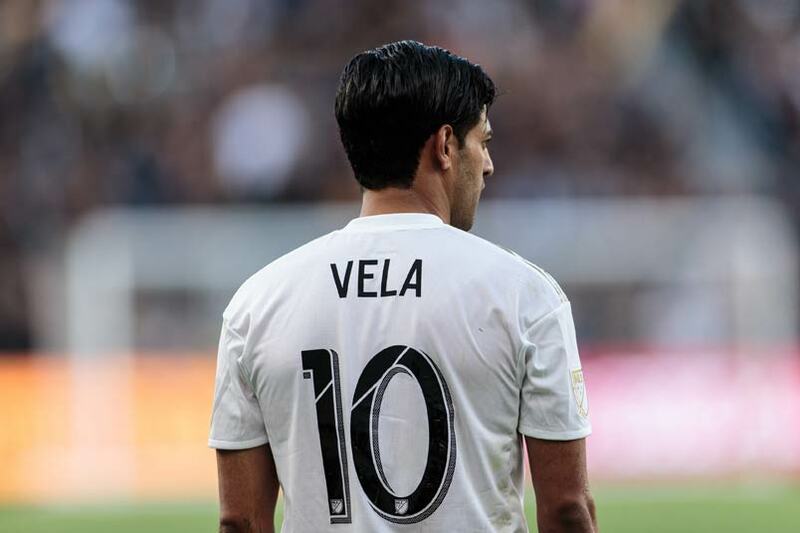 With or without Vela, Year Two for LAFC has commenced. One year removed from what was one of the most successful expansion seasons in MLS history, the club is hoping to build on that and go further in the postseason. Losing the first postseason match will not be as acceptable this year as it was in 2018. LAFC went into the final game of the 2018 regular season with a chance of finishing first in the Western Conference table. To put themselves in that position again, LAFC players will have to improve their mentality, work hard to satisfy coach Bob Bradley’s high standards, and toughen up along the backline. To think that LAFC would let that process begin without Vela seems like a good way to sabotage the season before it even starts. Vela would prove valuable to Barcelona as the club is looking to shore up its striker depth. The team seems to have filled that void by acquiring Kevin-Prince Boateng on loan from Italian club Sassuolo. If nothing else, though, the Vela-to-Barcelona rumors serve as affirmation that LAFC is doing something right. When one of the world’s elites looks upon your operation in a positive manner, things must be working on some level. That Barcelona considers Vela’s accomplishments with MLS valuable speaks well of LAFC. Such a loan deal would be a good affirmation that things are going right with LAFC. While Boateng may have ultimately taken Vela’s spot on Barcelona’s roster, the deal would have been a bit of a boon for the player and a potential blessing in disguise. LAFC had a strong attack a year ago, finishing second in goals to Atlanta United. The club had three players hit double-digit goals. However, the team needs more dependable scorers, and the players down the pecking order had their highs and lows a year ago. Diego Rossi and Adame Diomande each had 12 goals a year ago, two off team leader Vela’s total. 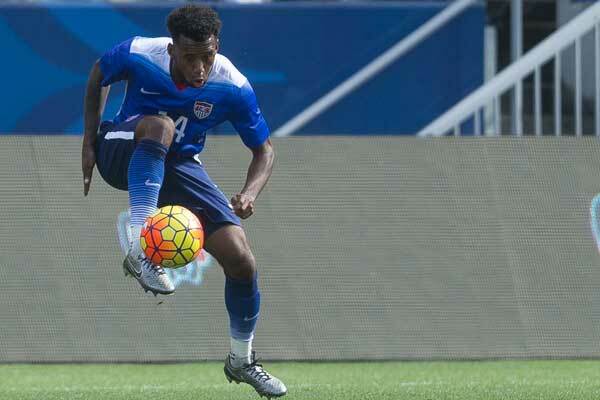 Latif Blessing was next with five goals. Christian Ramirez scored twice in seven games after a midseason deal with Minnesota United. Diomande’s totals were particularly exciting as he came over midseason and still hit double digits. Over the course of a full season, Diomande would have approached 20 goals at the rate he was scoring in 2018. If he is susceptible to injury this year like he was last year, then there's a need for another scorer to contribute. Like last season, LAFC has an abundance of forwards so losing one, even if it is the best one on the roster, won’t sink the team. Linking Vela to Barcelona is a testament to the kind of player Vela is. Since he has arrived with LAFC, Vela has been nothing but a success. He has been worth every bit of his DP salary. Vela helped the club establish legitimacy by scoring goals, nice-looking ones at that, and by helping to establish a culture. Right away, part of that culture was a winning culture. Vela had 14 goals and 13 assists, both team highs, and played in 2,378 minutes, fifth best on the team. Not bad considering he missed time due to the World Cup. Vela’s play in the World Cup was solid as he scored a goal for Mexico. Vela was a finalist for both league MVP and newcomer of the year. Given that, it may have seemed difficult to imagine the team letting him go for half the season. It would have been a bit of a reward to let Vela experience playing for Barcelona for half the season. Vela would have arrived fresh and ready to go during the summer. LAFC would have gotten a boost upon his return. With the loan deal possibly gone, it will serve as a small and possibly forgotten footnote once the season is in full swing. For now, LAFC needs Vela and the rest of the veterans to continue setting the tone in training to get the team moving forward. Another player who will be instrumental in setting the tone this year is Walker Zimmerman. Unlike Vela, Zimmerman does not appear set on going anywhere anytime soon. The club made that much official when it signed Zimmerman to a four-year contract extension before camp opened. Zimmerman was the key cog to LAFC’s defense a year ago. When then-captain Laurent Ciman left MLS for France, it seemed like the defense lost a leader and part of its heart-and-soul. The team rallied with Zimmerman in the back and the defense held together. The defense will need to be sharper this season, though. LAFC allowed 52 goals a year ago, a figure the club will need to reduce significantly if it wants to compete for the MLS Cup title. Sporting KC, who finished atop the Western Conference table, allowed 40 goals. 2nd-place Seattle allowed 37. Among playoff teams in both conferences, only Real Salt Lake (58) allowed more goals than LAFC. Perhaps the improvements the team needs on both ends of the field are related. A stingier defense may diminish the need to score more goals. Working on that will be part of LAFC’s task, whether the club’s best player is around at the start or coming back across the pond over the summer.